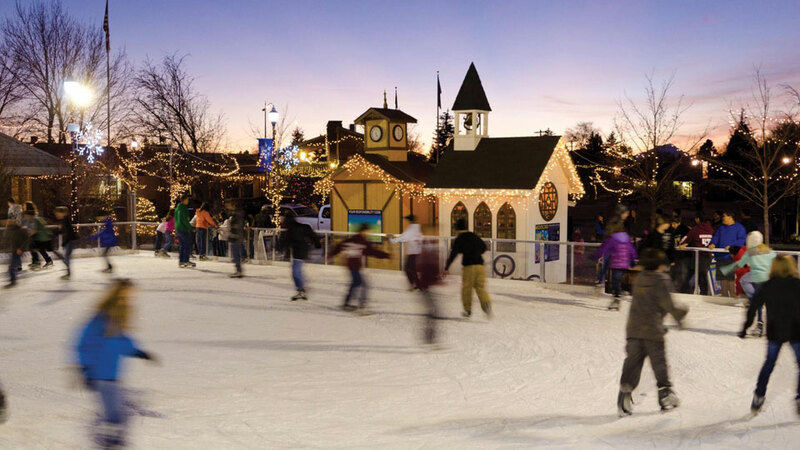 The City of Redmond and the Redmond Area Parks and Rec District are the partners behind operating and maintaining a portable ice skating rink to provide an economical and fun activity for Central Oregon families to enjoy during the winter season. The rink is open seasonally, usually opening around late November and closing in late February; the dates are dependent on weather. Next to the Redmond Chamber of Commerce in the Redmond Downtown Plaza, just across the street from beautiful Centennial Park, the Ice Skating Rink welcomes people of all ages and from all corners of Central Oregon (and beyond) to enjoy the thrill of this winter sport. Cost to skate is $5 per person including skate rental, and only $1.25 if you provide your own skates. They also have a $15.00 family rate for a maximum of six family members who reside in the same household, and offer completely free skating a few hours a week to ensure this facility can be used by all.